If you have been dreaming of backpacking in India, you need to just do it. It is that one place that has so much to offer. And when you are backpacking in India, it may be incomplete without visiting Mysore. When it comes to Mysore, there is always some kind of magic attached to it. Named after the demon “Mahishasura”, who was killed by Goddess Chamundi following a serious battle, this place is a paradise for travellers backpacking in India, specially the southern parts of India. Over the years, Mysore, a city in Southern India in the state of Karnataka has become the second most visited place in India only next to the Taj Mahal. There are numerous reasons why Mysore attracts more travellers and backpackers. 1. Cost-effective lodging – In Mysore it is easy to find a good and clean accommodation without burning a hole in your pocket. Thanks to the advent of internet and start-ups, finding an accommodation was never easier. Pick a backpacker hostel at 10$ a night. If you have budgeted even lesser for your accommodation, head to a lodge (5$ a night). Come over! 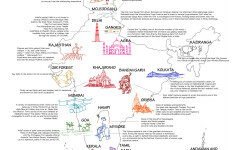 We have it all here when you are backpacking in India. 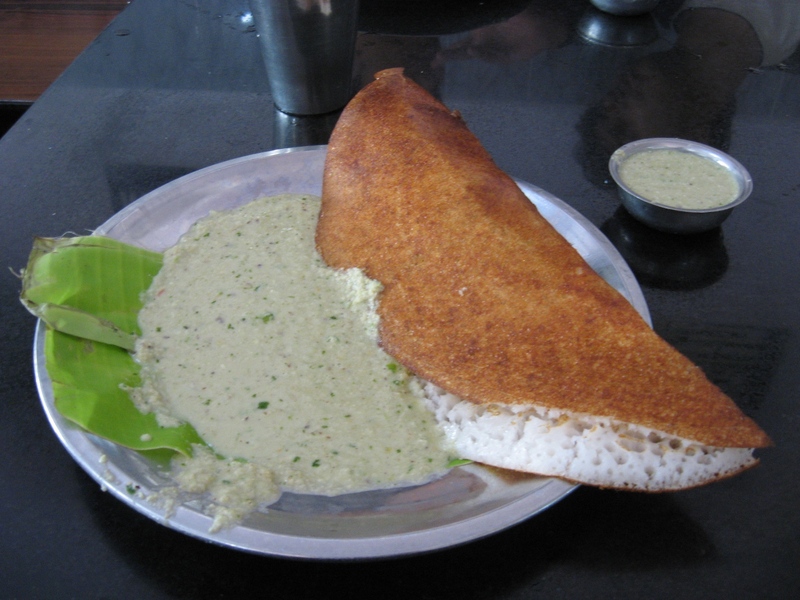 The Masala Dosas in Mysore and Bangalore cannot be described. Cos they are just soo good. 2. Food, spoiler alert ahead – Backpacking in India is incomplete without gorging on the variety of food available here. Mysore has always been a destination for the foodie. The sumptuous food of Mysore will leave your taste buds wanting for more. Be it Mysore’s own Mylari Dosa (a flour based pan cake stuffed with a secret recipe), or Raagi Mudde (most nutritious and healthy food made out of a millet), or Mysore Pak (a dessert made of chickpea flour and sugar), the favourite of the kings, or some great street food – all this and more will make you run amok with the flavour. One can visit Mysore just for the sake of food. All you need is 3$ for 3 meals a day. Hard to believe? Visit Mysore to get a taste of it. 3. Mysore has its heritage – Known as the heritage city of India, Mysore has more to offer than you can imagine. Behold the beauty of Mysore palace, a must visit place, where you will get to know the history of a 300 year old kingdom. Artisan work and wood carvings inside the palace are amazing. An audio device will keep you company and narrate the history of this palace in your own native language. Apart from the palace, one should visit museums in Mysore like the Jayalakshmi Vilas palace museum, where you will see the entire history of South India. Entry for the palace is 4$ and it will not cost you anything to visit Jayalakshmi Vilas palace. 4. Biomes and the wildlife, you just can’t have enough of them – Situated at the banks of river Cauvery and nestled in the foothills of the Western Ghats, Mysore is home to stunning landscapes and a habitat for innumerable beasts in the wild. Ranging from butterflies, to rare birds, crocodiles, elephants and the endangered tigers, you can spot them all here. Go on a safari in a bird park or a wildlife sanctuary. Visiting the beasts in their own enclave will surprise and amaze you. 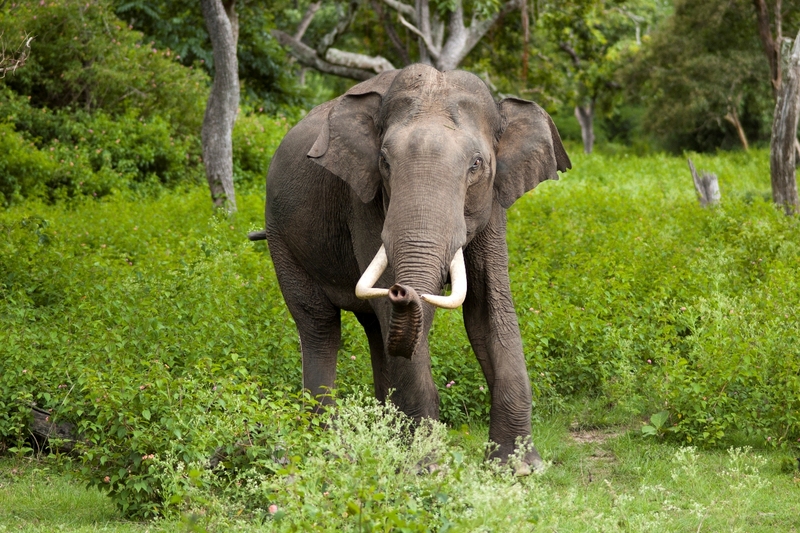 Wildlife – yes, one thing you cannot leave behind if you are backpacking in India. 5. Mysore, the Mecca of Yoga – Additionally, Mysore of late has become the Yoga haven for people around the world. 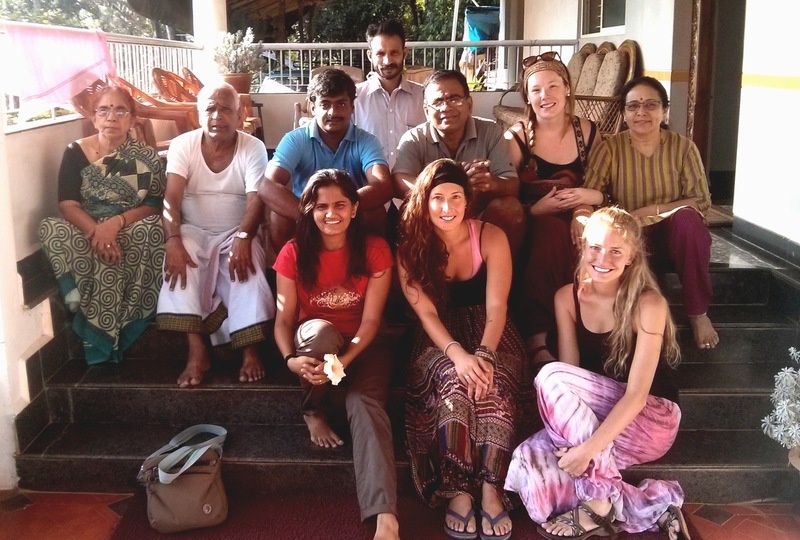 More and Yoga enthusiasts flock the yoga centres to find their inner soul and peace. You can give it a try too and it will cost you under 40$ for a crash course. 6. Weather, it’s mild and supportive – Located near the Western Ghats, Mysore’s climate is mild. It is cool throughout the year and rains mildly. Unlike other parts of South India, Mysore’s mean sea level is 800 feet. So, be assured to find the climate supportive. 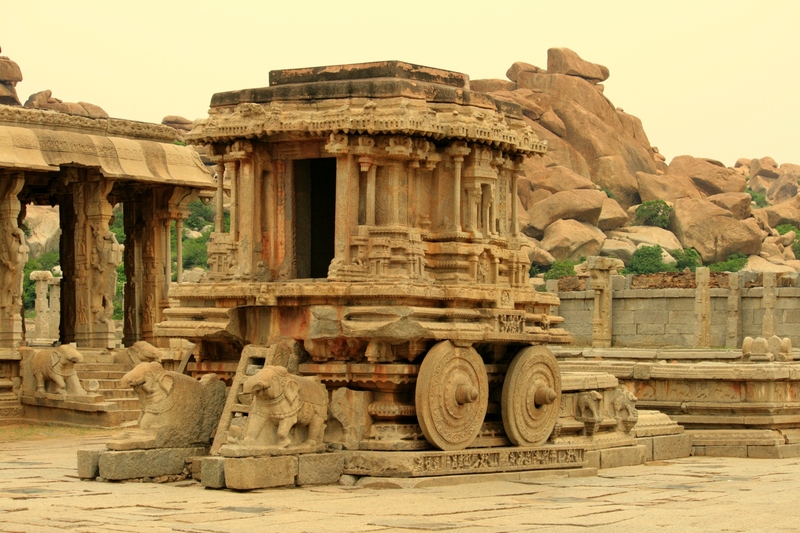 The Iconic stone chariot at Hampi. Somanathapura – A temple town built by the Hoysala Kings of Northern Karnataka. All that remains now is the ruins of the temple, however, retaining most of its beauty. The temple is intrinsically carved that will make you wonder how they created it and why did they do it? Talakad – A mythical place where hundreds of temples are buried in sand, the reason being a curse of a queen. 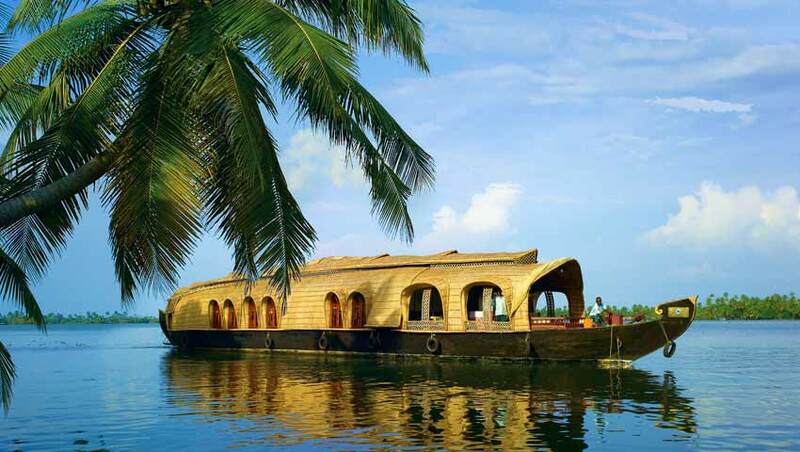 Do make a note that this region is one of the most fertile regions in the world, thanks to river Cauvery. Then do you wonder what dry sand has to do in the middle of a river? 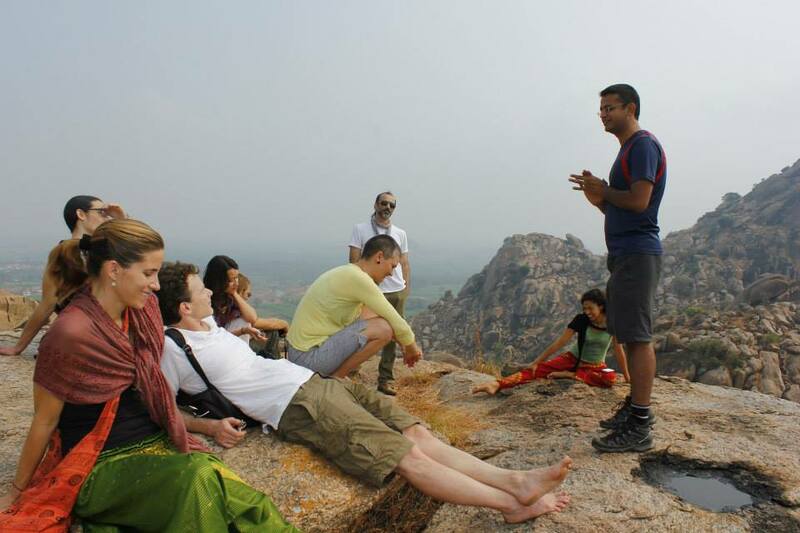 Srirangapatna – 16 kms from Mysore, a historical town and battle ground of the famous Tipu Sultan, British and French. Shravanabelagola and Melukote – A 58 feet monolithic statue carved in the hills will leave you mystified. Not just that. Just a few kms away find your peace in a village adorned with temples and nature at its best. Hampi – A historical place which was built in 9th century. Beautifully stone carved temples and the river flowing through the heart of this city is an absolute delight to watch. Story Telling is one skill we insist upon learning in goMowgli. These are just some of the places that you can visit with just 20$. The best thing is that you will get a guide proficient in English. Now isn’t that value for money? And if none of the above excites you, just saunter around the streets of Mysore. Amidst the trees, buried in between new buildings, may be you will be able to spot something from RK Narayan’s fictional town Malgudi. So, is Mysore on your list of destinations while backpacking in India?